Wall lamp available in different sizes and lights with steel arms shaped and painted with epoxy powders. The fabric lampshade, available as an accessory, offers a warm light atmosphere. Yelena is also available in custom colors. 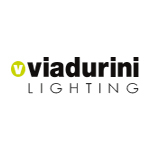 Request a quote to: clienti@viadurini.it . 100% Made in Italy product. Bulb: 1 x max 40w - E14 (not included). This collection of designer lamps has been conceived and created by artisans who have over fifty experience in the sector and have brought Italian quality in the field of lighting to the national and international markets. The realizations combine design and tradition , combining technological innovation with craftsmanship. Continuous innovation and qualitative excellence are the cornerstones on which the search for a style of its own. The result is a rich collection ranging from suspension and modern wall lamps and table lamps designer floor lamps, whose quality is guaranteed by processing methods that look at the Italian manufacturing tradition as a single production reference.